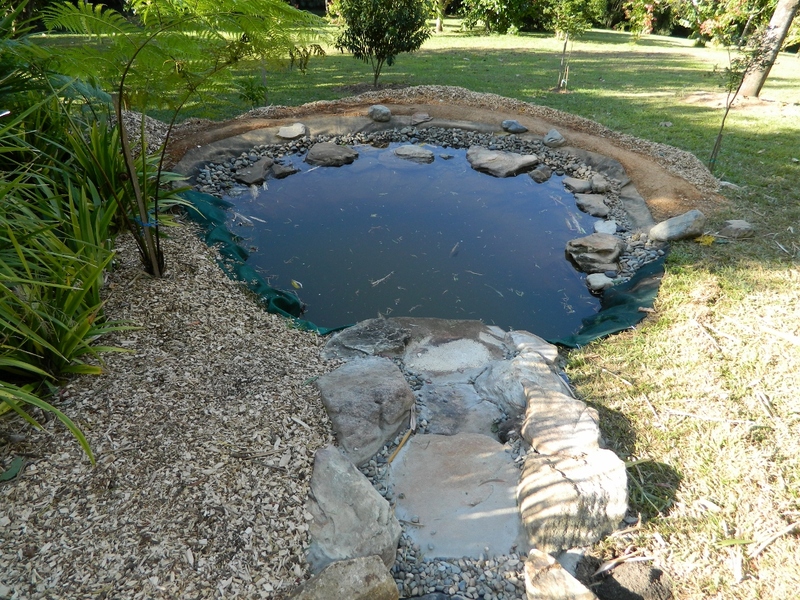 It’s two years this month since the construction of my frog pond, and as you can see from my original posting, and the photos below – it’s come a long way since then. Like the goldfish which died within days of being set free, or became meals for kookaburras. In retrospect, this was not a bad thing as they probably would have eaten tadpoles anyway, and the few that remain live up to their Comet name, being wary and probably slightly traumatised! Then there was the soupy green algae which developed the first summer, and necessitated the installation of an unattractive shade cloth. 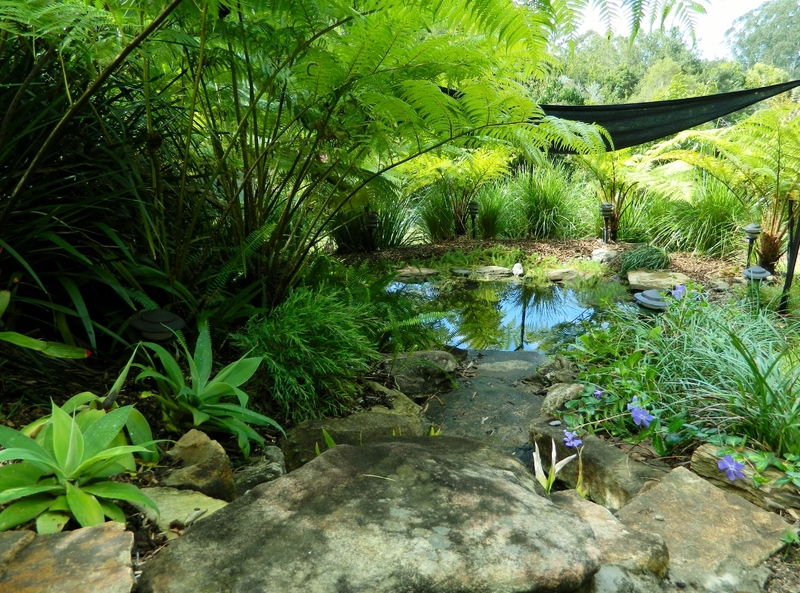 I’m hoping that by the end of this summer, the tree ferns I planted will sufficiently shade the pond to allow its removal. And the substantial leak which developed this winter. A messy digging session uncovered a subsidence problem, now fixed. None of this, however, seemed to faze the frogs who turned up in great numbers to disturb my summer nights. The frog species count currently stands at 9, and I’m hoping for more this season. 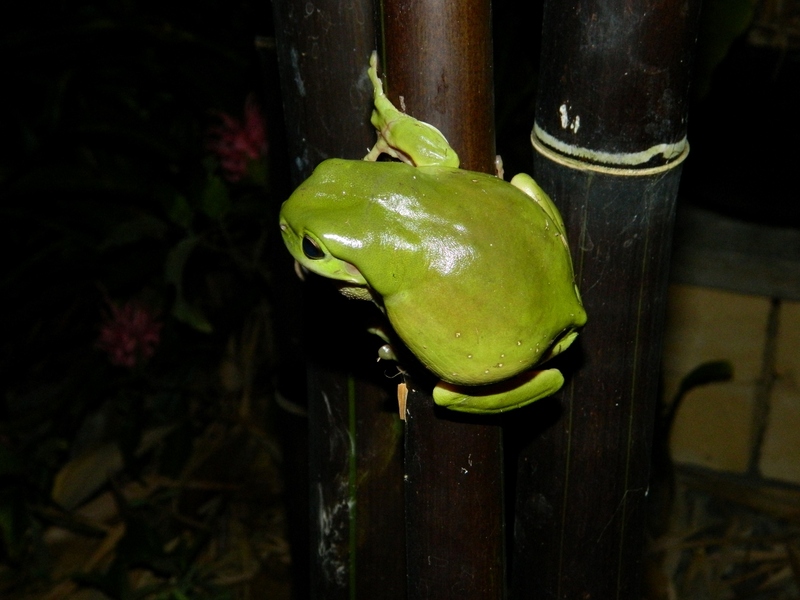 Visit my new Frog Page to see photos and videos. Does my bum look big on this bamboo ?